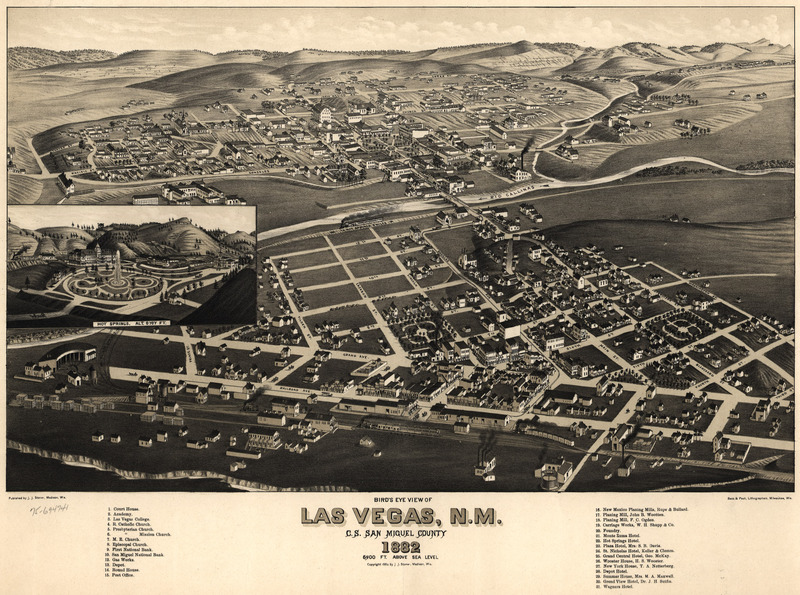 J.J. Stoner's birdseye map of Las Vegas, New Mexico in 1882. J.J. Stoner illustration of Las Vegas, New Mexico [gmap] that highlights some of the pitfalls that Stoner is prone to stepping in. The contrast is too stark, the perspective feels odd, and the inset -- which is drawn beautifully -- is just slapped on any-which-way, seemingly as an afterthought. Las Vegas, New Mexico prospered in the 19th century as a stop on the Santa Fe Trail, and was a frequent haunt of a host of American Wild West luminaries, among them: Doc Holliday and "Mysterious" Dave Mather. A favorite of location scouts, the town and surrounding area find frequent use in motion pictures. Recent Best Picture Academy winner No Country for Old Men, for example, filmed there extensively. 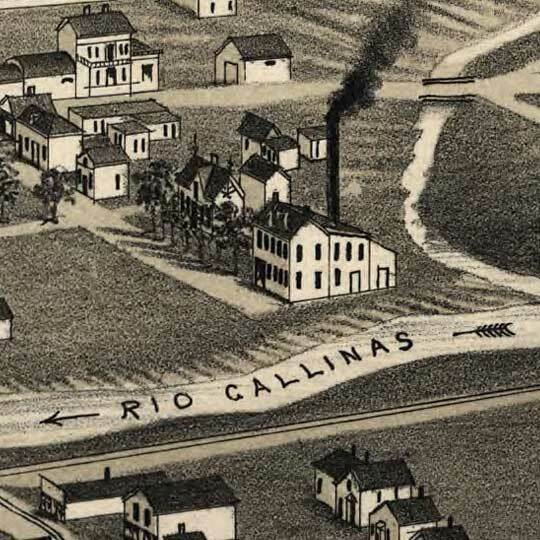 For more maps and images from this period in the region's history, visit the Historical Society of New Mexico.